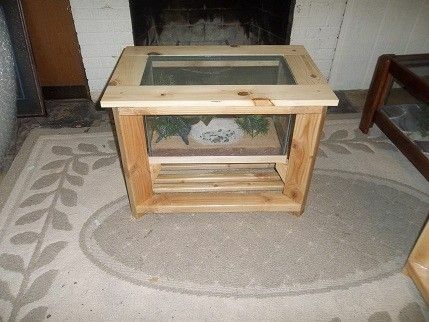 Custom Designed And Crafted Rustic Coffee/Endtable With Wildlife Art. Custom designed and crafted coffee/end tables with 3 dimensional wildlife Art replicas installed. By Colorado Wildlife Artist Dan Barden. 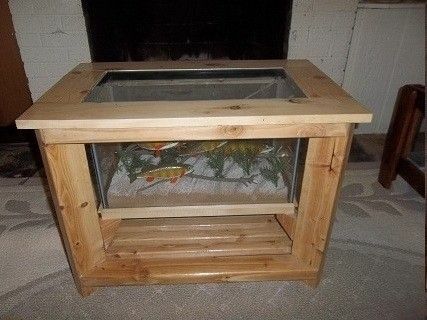 100% Hand crafted of Douglass Fir and Pine. Finished in a gloss varnish. 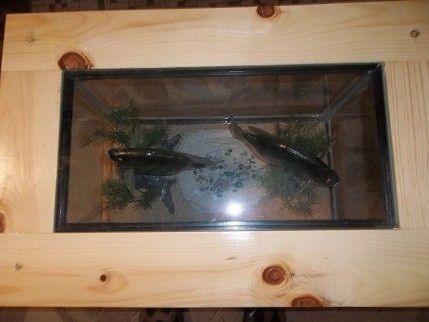 1/4" glass top for viewing fish. Bottom shelf for Magazines, etc. Top is removable for cleaning. 281/4" long, 181/2" wide, and 21" tall. 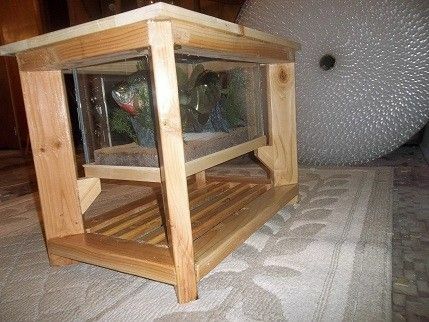 Terrarium is 20" x 10" x 12" deep. 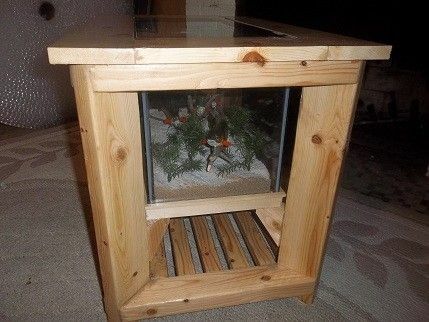 This table was designed and built by artist with local lumber. 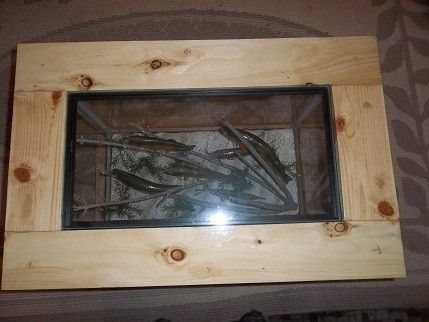 This unit has 6 Yellow Perch from 4" to 8" long in a school. 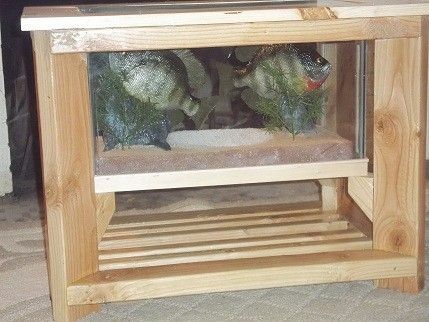 Dimensions: 281/4" long, 181/2" wide, and 21" tall.